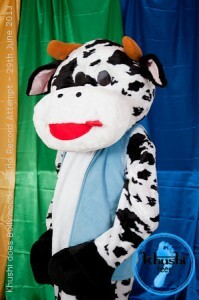 With 5 months until our world record attempt, here is the next photo from our promotional photoshoot… featuring our very own mascot Khushi the Cow! (Photography by Samantha Jones Photography. You can view the gallery from the photoshoot here.